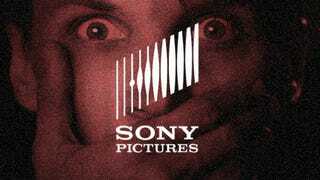 Brian Stelter from CNN reports that hackers sent Sony Pictures Entertainment executives a braggy email celebrating Sony's decision to cancel its release plans for The Interview. The hackers promise that the remainder of Sony's data is safe—for now. The email further demands that Sony keep cooperating (i.e. never let The Interview see the light of day—or else otherwise more of the company's data be released. Now that The Interview won't be released in theaters, the hackers are demanding that all traces of the movie be wiped from the face of the internet, and that the film never be shown in any way. The Sony hack first came to light more than three weeks ago; the current theory is that it was initiated by North Korea, in retaliation for The Interview. In the comedy, the main characters assassinate Kim Jong-Un. The new set of demands is the inevitable consequence of the cowardice of Sony showed by canceling The Interview. Will Sony comply with this latest demand? And if it does, what's to stop the hackers from making yet another set of demands?